We have decided to leave this review here for reference purposes for those of you who still have one of these steam mops. 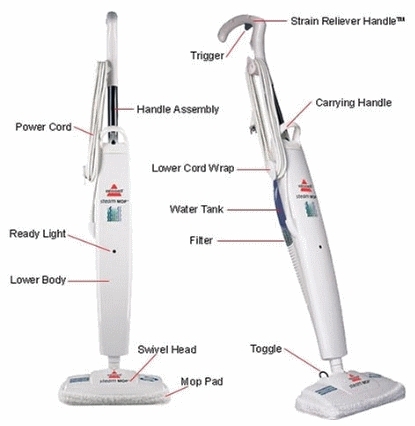 This is our review of the Bissell 1867 Steam Mop (bare floor steam cleaner) that you should read before deciding to purchase a steam mop. 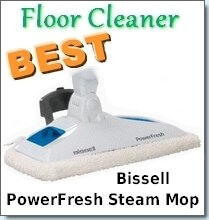 The Bissell 1867 steam cleaner is great for using around the home as it is completely safe and chemical free. It is ideal to use on your floors especially when you have children and toddlers as it will safely clean and sanitize the floor. Doing so minimizes your child’s contact with harmful chemical residues and also helps family members with allergies and chemical sensitivity. Each Bissell 1867 Steam Mop measures 6 by 11 by 45-1/2 inches and after filling with water, will be ready to steam clean in a quick 30 seconds. It can run up to 15 minutes on one tank full of water and even has a handy 360 degrees swivel head. The pads are made out of terry cloth and are fully machine washable and reusable. Each one of these mops has an inbuilt filter which filters the tap water to remove minerals and impurities to avoid build up. 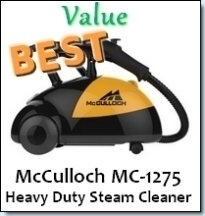 By reducing build up, it ensures that your steam mop will last a good long while. One way of lengthening the life of your filter is to use distilled water. This is optional and in no way mandatory, you can use ordinary tap water. Your filter will let you know when it needs to be replaced because the beads will change color. Cleaning is very simple with your Bissell 1867 Steam Mop as it can take care of any mess or dried stain on your floors. From baby food to dried peanut butter, it will easily steam away every mess. With particularly difficult messes, all you have to do is allow the mop to sit on the area for 15 seconds and your floor will be completely disinfected and sanitized. This Bissell 1867 mop can be used on a wide variety of surfaces which include marble, tile, linoleum, stone, ceramic and other hard surfaces. The low profile pivoting head along with its swivel capability makes cleaning under chairs and other objects easy. There are many consumer reviews on this product and the majority of them are in favor of this mop. Many consumers agree that this mop performs exceptionally well even in high stress cleaning environments. This means that it can handle cleaning up after your spouse, kids, toddlers, teenagers, pets and just about anything you care to throw at it. The Amazon rating for this product is 3.5 stars from over 200 reviews. You can purchase this steamer for approximately $92. 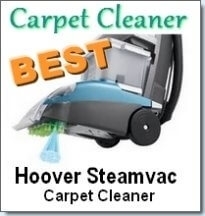 It outperforms the Swiffer Wetjet and other similar devices. Even if you dislike mopping, you will find that cleaning with this little machine a godsend, and even enjoyable. I must say that seeing the dirt and grime peel off my floors is a sight that I always enjoy. Positive: One of the best things is that this mop does not cause streaking! However, if you’ve used other cleaning solutions on your floors it is expected you would get initial streaking. 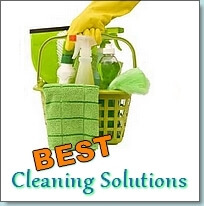 Not to worry because this will soon clear up after a few uses when the cleaner is fully removed from your floors. I love the fact that you can store it by hanging it from a wall – great space saver! Negative: One of the few downsides of this machine is that it can take a little effort to push around as you are essentially moving a cloth across a surface that may not always be classified as being smooth. So it is not recommended that you purchase this mop if you’re not prepared to cope with this little problem. This is an excellent mop that does the job without hassles and over-delivers on its promises. Definitely a good buy!